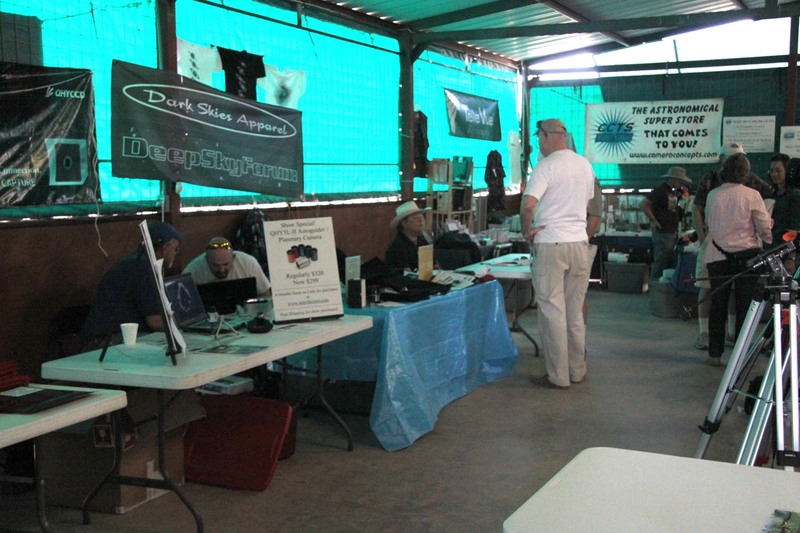 The Texas Star Party is an excellent opportunity to show amateur astronomers your merchandise and make sales of your products. Our attendees look forward to touring the various vendor displays throughout TSP week, and the hands-on experience and evaluation of what you have to show. Increase Awareness of your company and its products! These same attendees are returning to their homes (including many countries throughout the world), and letting their friends know what they see at TSP… extending your reach to a worldwide audience! New 2019! Find about becoming a 2019 TSP Sponsor ! 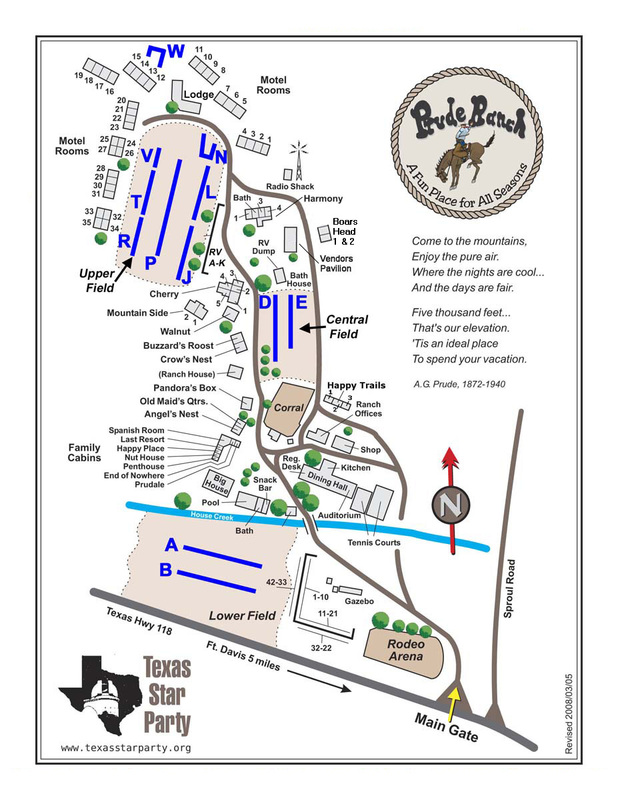 All TSP vendors will be located in the Pavilion located adjacent to the Central field/bathhouse. The Pavilion is an open girder structure with metal roof on a large concrete slab (53×40′) This enclosed space is locked and monitored each night using a security system including an external strobe/siren. While not totally enclosed, the Pavilion’s recent renovations (including gutters, roof extension and repairs) provide a dry and shaded location for vendors to display their products. 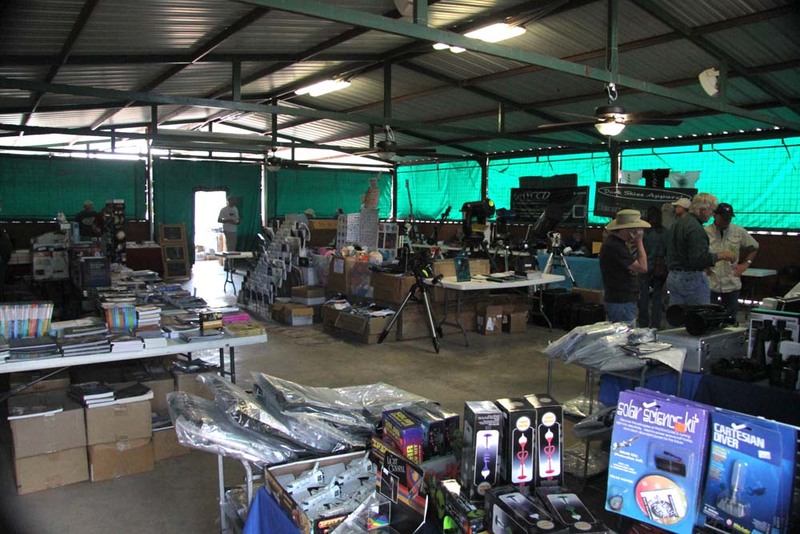 Some vendors may want to cover their merchandise at night to protect against dust and rain that may get in through the edges of the enclosure. Boxes should not be placed directly on the concrete floor in case a heavy rainstorm causes some water to get on the concrete. The TSP Vendor Fee is $75.00/table (does not include your TSP Registration Fee), which entitles you to a six-foot display table in the vendor display area. This table will be provided by the ranch at no extra charge. Space will be allocated on a first to register – first serve basis. If you need additional table space (at additional cost), or if you have any other special needs, please advise us as soon as possible. Due to the limited number of spaces available for vendors, we strongly suggest you reserve yours as soon as possible. Select “TSP Vendor” option, and answer questions including how many tables you need. Wait for your TSP Request Form confirmations as attendee (sent in early February). You will also receive a separate email for vendor display approval and how many tables were reserved. Then you can submit your TSP Registration online (use link on My TSP Account page) and pay your Registration and Vendor Display fees. Texas Sales Tax Permit Required – Sales tax should be collected on all retail sales. All vendors are required to have Texas sales permits. PERMIT MUST BE ON DISPLAY AT POINT OF SALE. For information on the sales tax and the procedure for obtaining a sales tax permit call, (800) 252-5555. You can also apply online at Texas Online Tax Registration Application. There is no fee for the permit. A sales tax report is required to be filed with the state showing the sales and sales tax collected. Since failure to abide by the sales tax requirements could jeopardize the tax status of TSP and would be unfair to those retailers who do abide by the law, any vendor not in compliance will be subject to removal without notice. TSP Vendor c/o Prude Ranch, 201 Prude Ranch Guest Rd, Fort Davis, Texas 79734 Please clearly mark the box with the name of your company and who will be picking it up. It is anticipated that all shipments will be maintained at the Ranch Front Office until the appropriate person from your company picks it up. Except for having a personal representative on the ranch, there is no better way to promote your product! Contact David Moody, Vendor Liaison as soon as possible at (1-972-971-5723) or send an e-mail to let us know of your doorprize plans. TSP Door Prize c/o Prude Ranch, 201 Prude Ranch Guest Rd, Fort Davis, Texas 79734 Please clearly mark the box with the name of your company and that it contains door prize materials. TSP reserves the right to bundle smaller donations together, in order to expedite the giveaway process.